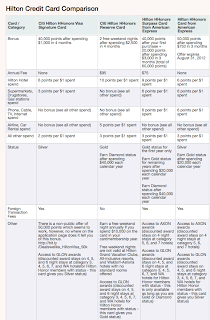 It's widely accepted that Hilton points are worth less than other hotel points on a point for point basis. That is because the Hilton award charts requires you to use a much greater number of points than other hotel chains like Hyatt or Starwood Hotels. For instance, Hyatt's award chart starts at 5000 Hyatt Gold Passport points. Hyatt's award for a top category 6 hotel is only 22,000 points. Hilton's top category 7 hotels start at 50,000 Hilton points. As I discussed in a previous post however, Hilton points are VERY easy to accumulate in large numbers. It is very easy to rack up hundreds of thousands of Hilton points in a single credit card app-O-rama. 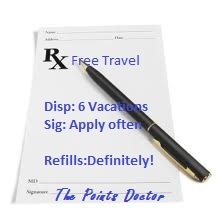 You can also earn 6X Hilton points at supermarkets and drug stores. See this post on how to accumulate even more Hilton points. While Hilton is not my favorite Hotel chain, Hilton's are available in many cities at different price points. They have some beautiful aspirational properties in exotic locations as well. Hilton has very generous award discount ratesavailable for their elites. Anyone with Hilton status (Silver, Gold or Diamond) is eligible for VIP/GLON awards. Hilton status is also very easy to obtain. Several of their credit cards provide status. In fact, Hilton may be the only chain you can reach top status through spending alone. With $40,000 placed on a Hilton Citi Reserve card, you will receive Diamond status. 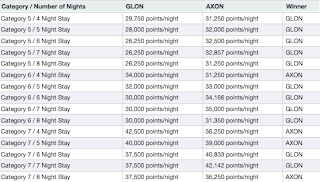 Anyone with a Hilton AMEX card is eligible for an AXON award. (American EXpress ONly). With these discount award charts, you can really stretch your Hilton points a lot farther. VIP/GLON awards are avaiable to book online if you are logged into your Hilton account. AXON awards are not available online. They must be booked by calling Hilton. 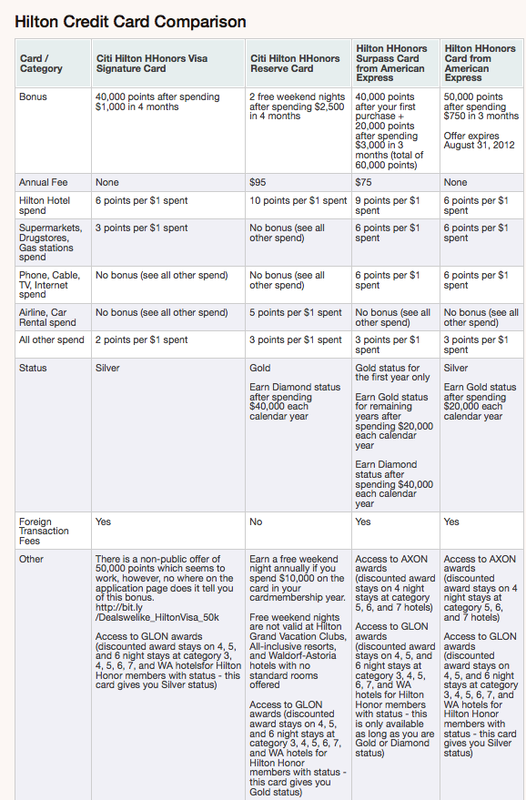 Here is a comparison of the different Hilton Cards Available. 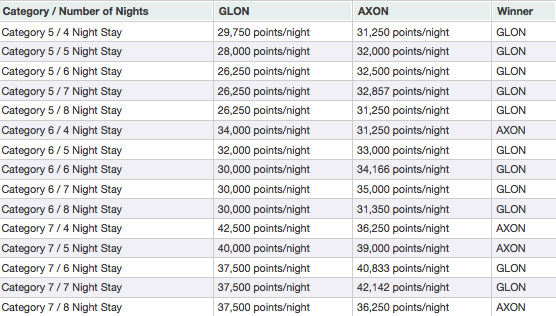 Here is a list comparing AXON vs GLON awards of different category Hilton's based on the length of stay. 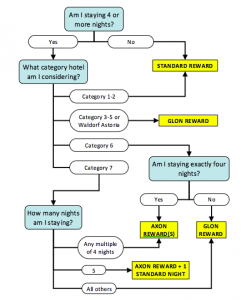 Here is a flow chart to assist your decision making about when to use AXON or GLON awards.